What I Blog About When I Blog About Books: 3rd Day of Christmas: China Glaze "White On White" + China Glaze "Party Hearty"
3rd Day of Christmas: China Glaze "White On White" + China Glaze "Party Hearty"
Today's manicure is for one of my favorite holiday nail combinations and it is the pairing of a white polish, China Glaze's "White on White," with my second favorite holiday glitter, China Glaze's "Party Hearty." 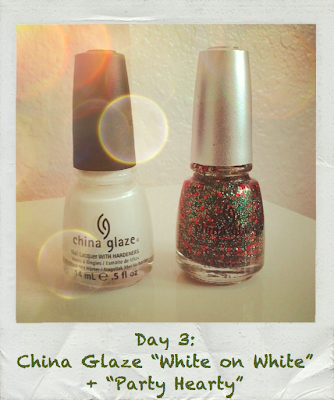 China Glaze "White on White" is your basic white. 2 coats are required to make it opaque. 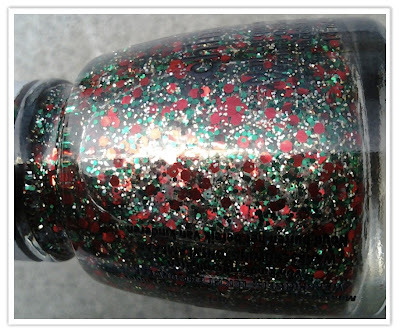 "Party Hearty," on the other hand, is an amazing glitter, and it my second favorite holiday polish after China Glaze's "Twinkle Lights." 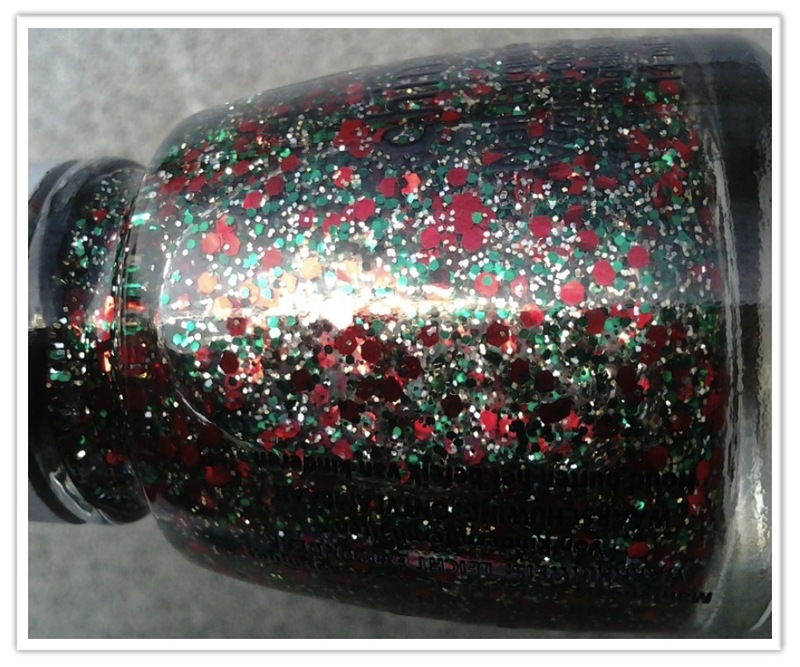 Like "Twinkle Lights," "Party Hearty" has 3 different colored glitters: red, green, and gold, in a clear base. Unlike "Twinkle Lights" however, "Party Hearty" has small gold glitters, slightly larger green ones, and even larger red ones. This polish is truly amazing for it's ability to layer over many base colors. Unfortunately, this polish was released two years ago and I'm not sure where you can find it now. When my sister saw my nails, she said she thought it resembled one of those peppermint candy canes with the extra green stripe, so it is without a doubt, an incredibly festive polish combination. 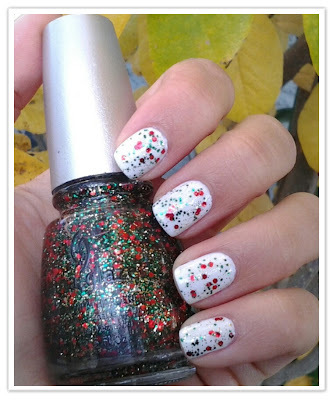 Though I personally love the bright white underneath the chunky glitter, if the white is too harsh of a contrast, you can always pick a frostier white polish as the base. China Glaze's "Frosty" is a beautiful choice, but if you can't find that, I think Orly makes one that looks fairly similar (as I'm sure many other nail polish brands do as well). I personally love layering clear-based glitters over the entire nail, but if you're someone who loves glittered tips than, by all means, give that a try. I'm sure it would look amazing and festive as well. I love, love, love this combination. Of all the polishes to layer China Glaze's "Party Hearty" over, a basic white has to be my favorite. 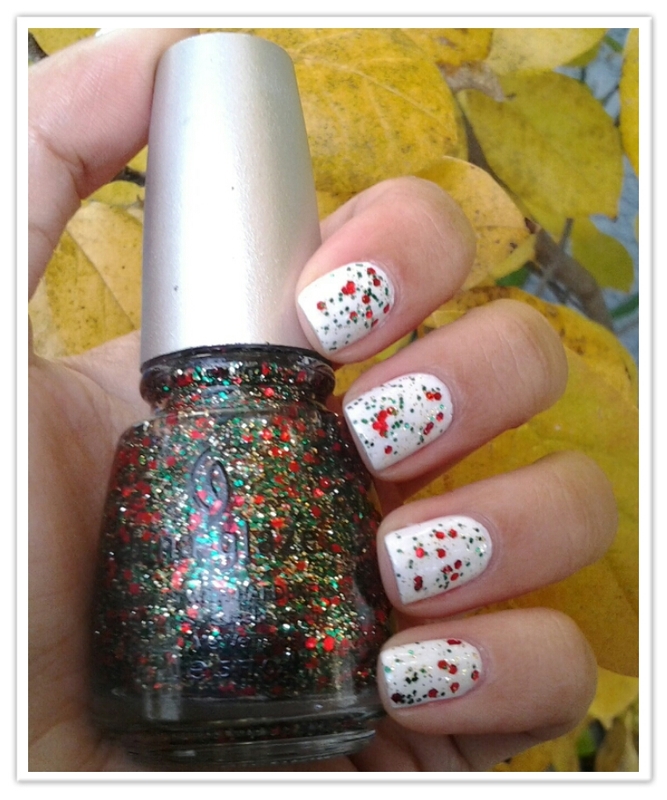 This manicure definitely gets me in the holiday spirit. 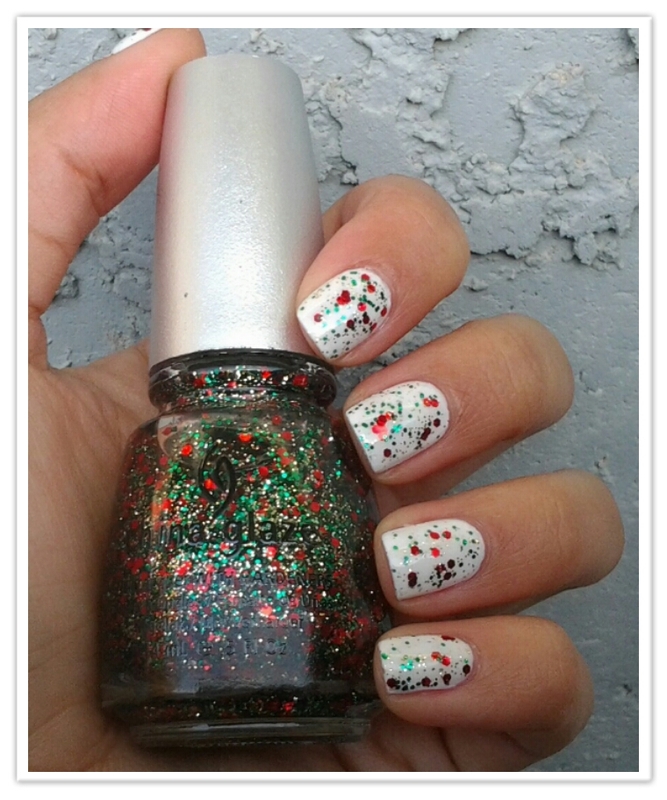 I hope you enjoyed one of my favorite nail combinations for the holidays! If you liked this look then stay tuned for the remainder of my 25 Days of Christmas Manicures. perfect :D the glitter is exactly what i picture to be christmas in a bottle. on top of the white base this pops so beautifully.